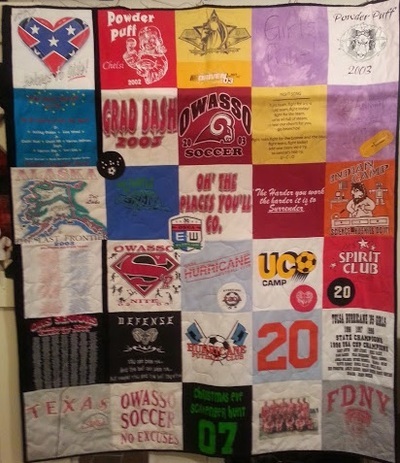 T-Shirt Quilts are as unique and the person who loves them! Each one tells a story. There are five basic styles available; Individual Frames, Unique Borders with and without Sashings , Collage, and Shirts Only. After you choose your favorite style, decide how many shirts you will be using, and you are on your way to building your special quilt! One embroidery is included free! Please include what you want to have embroidered on your quilt. Embroideries can be a name, date, school, etc, up to 20 letters and spaces. Additional embroidery is available at the prices shown. 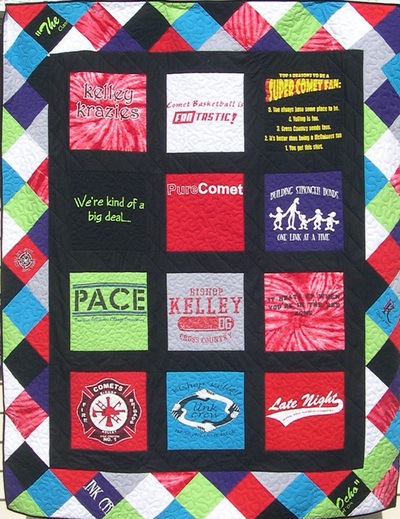 Please use masking tape to mark which side of each shirt you want included in your quilt. Be sure to mark any of those little designs on the upper left chest when you want them. 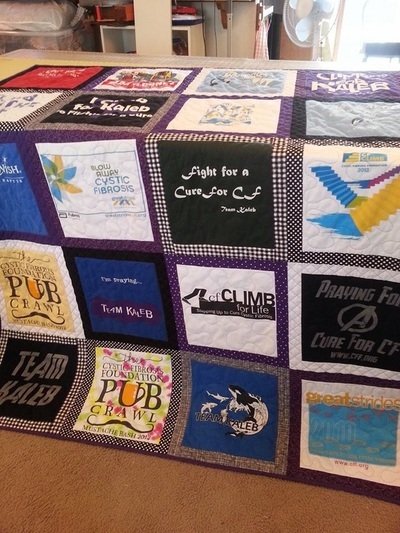 Options include hanging tabs, so you can hang your quilt on a pole rod for display. Photos are listed as an option. 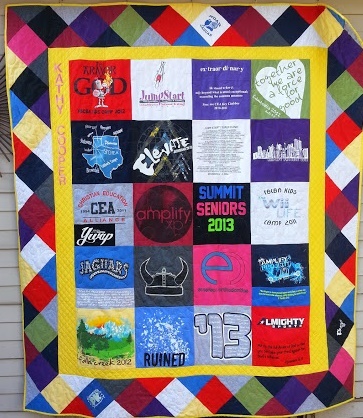 You will send your photo to us by email to be printed on a special fabric designed for photos. You might find you have one or two too many shirts. Not a problem! Usually, two can be combined into one block space. Add the number of additional shirts you are sending. Don't forget to count front and back separately, if you want both included! Your shirt fronts will be cut to 15" square. If you have an oversized logo or picture on a shirt, it will need to be handled with extra care. Please select the option for "Oversized" for each shirt falling into this special category. 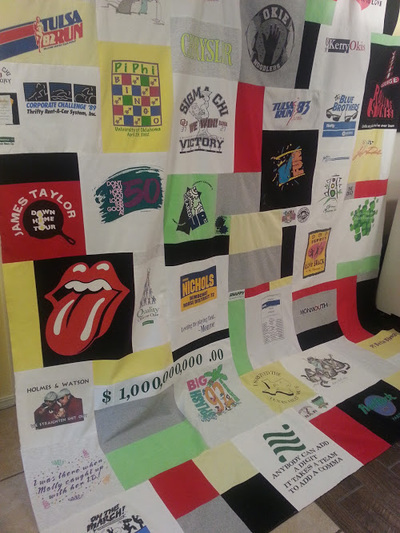 We will contact you before making your quilt to make a plan for handling oversized shirts.